My little man is napping, the dishes are done, and the laundry is rolling around in the dryer so I thought I'd make the most of this snow day and join in the AMAZING link-up my sweet friend Jenny has started! I sat down to write this post thinking I would write about my own third grade teacher, Mrs. Williams. She was warm, kind, funny and compassionate - qualities I needed in a teacher after a very unpleasant 2nd grade experience. However, when I started thinking about who has had the biggest impact on my own teaching career I kept seeing the same face pop into my head --- my dad's. A very young Papa Bookworm. 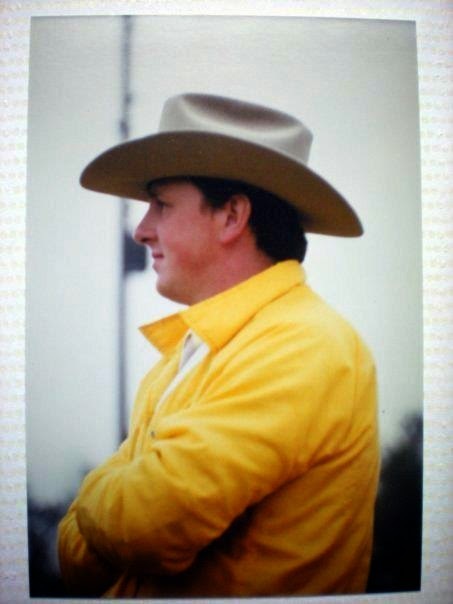 I remember Daddy wearing that hat ALL the time during football season! My dad is a band director, and has been teaching for almost 40 years. He will retire at the end of the year and I cannot wait to celebrate him. 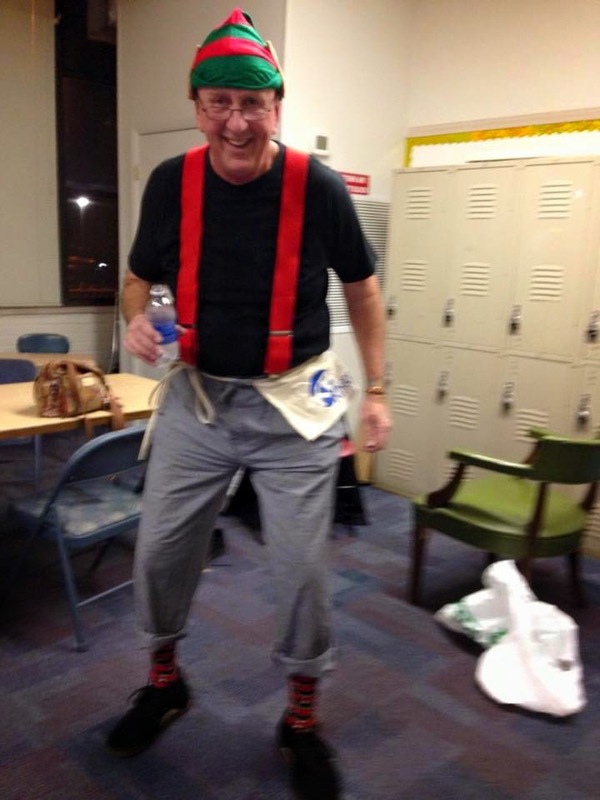 He was my high school band director and my AP Music Theory teacher. I have never met anyone who works harder than my daddy. 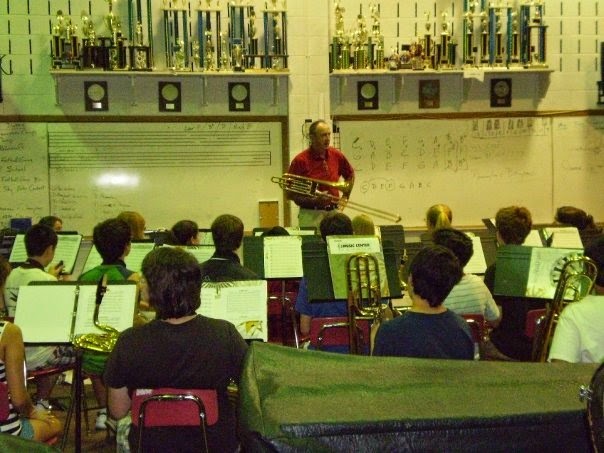 For the last several years, he has gotten to school early to practice with his jazz band kids. He brings them donuts for their early efforts, coaches them through new pieces of music, and has them off to class with a smile on their face before the first bell rings. He has given up his weekend more times than I can count to take kids to band clinics throughout the winter and the spring. He's driven from North Carolina to Pennsylvania to get instruments repaired by just the right guy or to pick up a new one. Instead of one week of band camp, he had two or three - one for freshmen, one for colorguard and percussion, and one with the full band. He didn't have to do it that way, but he knew that the extra time would give him better results on the field. He is compassionate. He has opened up our home to students more times than I can count. He has always done whatever he can to make sure than kids who want to participate in music education can have the opportunity to do so. If they needed a ride to practice, he picked them up. If they needed a ride home, he dropped them off. If they needed a meal, they were sitting at our dinner table. If they needed a place to stay, he had us make up an extra bed for the night. Papa Bookworm is one of a kind. He is brilliant. Creative. Passionate. Innovative. Mischievous. Hilarious. A definite force to be reckoned with. People. My dad dressed up like an ELF for his middle schoolers this year. My heart fills to bursting every time I hear someone talk about the impact my dad had on their life, how he was their favorite teacher, or how much their community will miss him when he retires in June. I hope one day I'll be able to hear some of the same things when my former students and I run into each other. I try every day to be a little more like him. 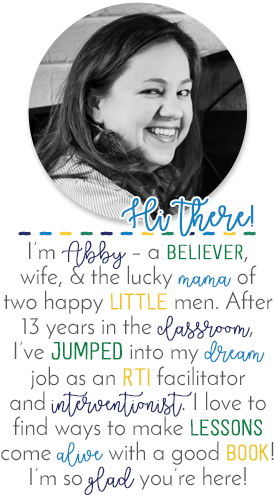 TpT is also celebrating teacher heroes with a SALE! Use the code HEROES for an extra 10% off. Lots of stores (like mine!) are also on sale for 20% off. Make sure you add the code for a total of 28% off! Do you have a teacher hero? Link up with Jenny at Luckeyfrog's Lilypad! Scroll down below to see more teacher hero stories. I love reading all of these stories!! I love this post! What a great teacher he is. I know I was a proud band nerd in middle school and high school and my directors meant SO much to me- and I'm pretty sure they lived at school. :) Thanks for linking up with me! A nice word on your part. I got what you mean , thanks for posting . admission in class 11 in cbse school in delhiWoh I am happy to find this website through google. EDExpo 2015 - Coming to Atlanta!